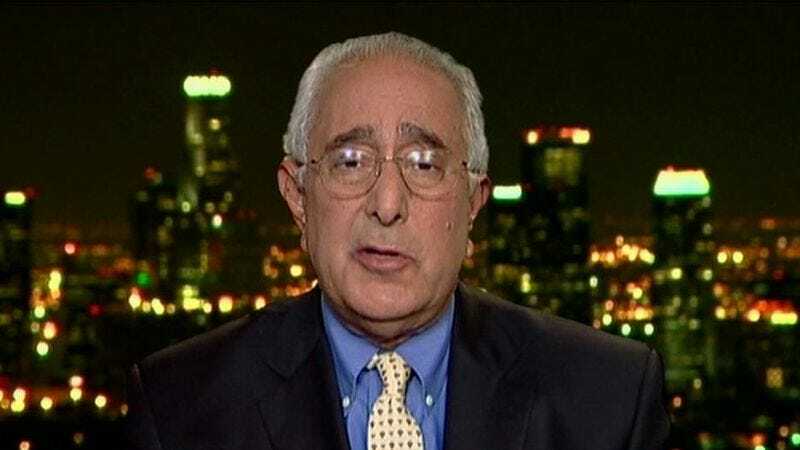 Thanks to his often-controversial beliefs, unmanned drone Ben Stein has found himself unfairly ostracized, limited to just a handful of talk show appearances, guest columns, movie cameos, theatrically run documentaries, public speaking gigs, and corporate spokesperson jobs every year. But now he’s finally fighting back, filing a lawsuit against Japanese electronics company Kyocera and advertising agency Seitz & Miller that alleges breach of contract and wrongful discharge, with Stein claiming he was dropped from a campaign for Kyocera printers once the very publicly green company learned that Stein doesn’t believe in global warming. According to the complaint, Stein and Kyocera had not officially signed a contract, but had still worked out all aspects of the $300,000 deal—leaving only the question of “what kind of tea and other snacks Ben Stein would have on the set”—when the ad agency was informed that Kyocera had become concerned as to whether “Stein’s views on global warming and on the environment were sufficiently conventional and politically correct” to represent Kyocera, let alone eat their snacks. By way of response, Stein asked the agency to tell Kyocera that he was not certain that global warming was a man-made phenomenon as “he believed that God, and not man, controlled the weather,” because that is how you demonstrate to someone that you are rational. Yet somehow this did not assuage Kyocera’s fears, so they backed out of the deal, creating a storm of controversy not unlike those cooked up by God on a regular basis, up there in his weather whirligig. Adding insult to injury, Stein then discovered that Kyocera had—“in an astonishingly brazen misappropriation”—simply replaced him with another glasses-wearing guy in a tie and sport jacket, one who presumably doesn’t believe that God decides when you’ll need to take a sweater, thus robbing Ben Stein of the comedic persona that he had worked so hard to develop accidentally. This added “emotional distress” to Stein’s many claims, which also include religious discrimination and infringing upon his right to political expression—a right which has now been compromised because they refuse to give Ben Stein $300,000 plus snacks to sell some printers. At last report, Stein was praying for God to make it rain, just to hide his tears.